This post is long overdue! 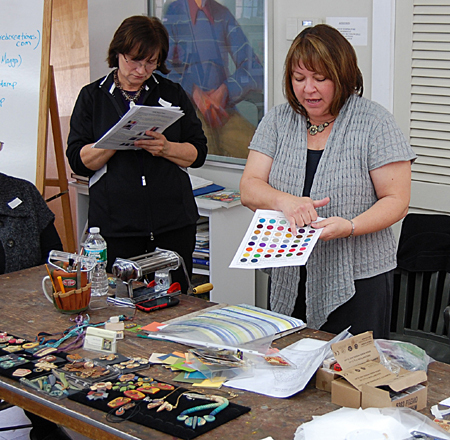 In March, I had the wonderful opportunity to take a workshop with the talented polymer clay artist, Julie Picarello. Here is one of her fabulous creations destined to adorn some lucky person. More of her amazing work to inspire and delight! 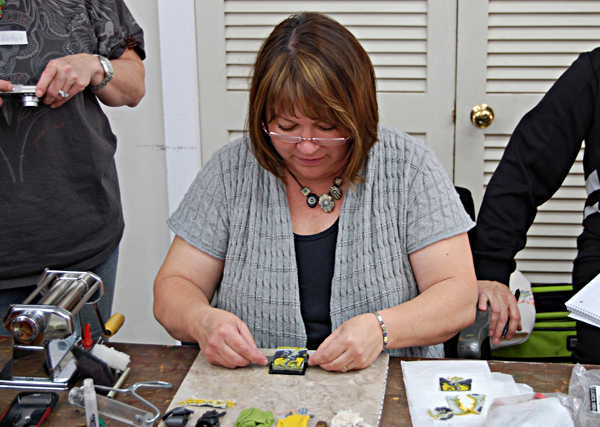 Julie has explored and perfected her own faux mokume gane technique using layers of colored clay, metal leaf and all sorts of nifty texture tools. 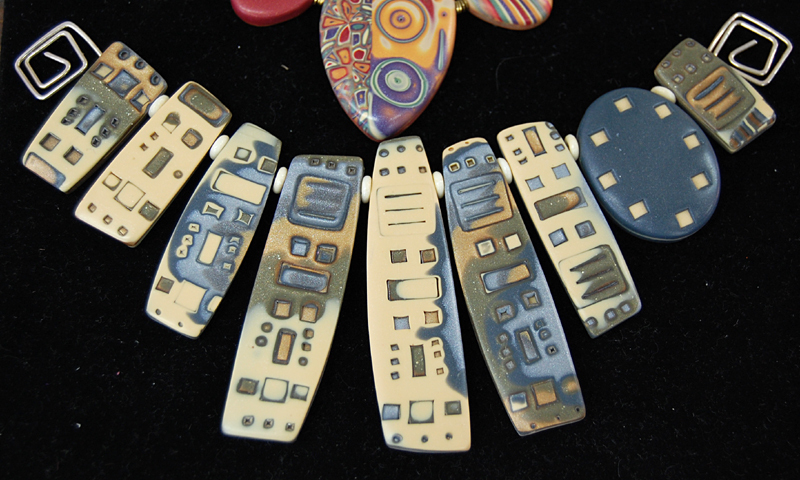 From this layered and textured clay, she creates colorful, unique jewelry pieces. 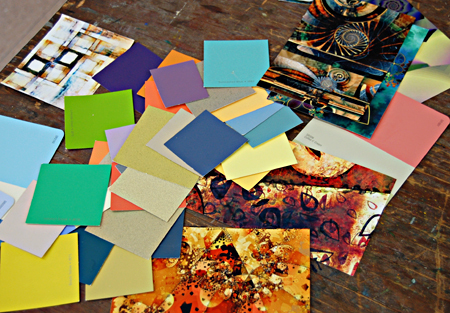 Color inspiration can come from many sources. The first thing that struck me about Julie upon first meeting her is her warm smile and twinkling eyes. In a new place and new experience, she made me feel very welcome and right at home. She is kind, generous and very patient, perfect qualities for a teacher to possess, allowing your students to relax and open up to the creative process. 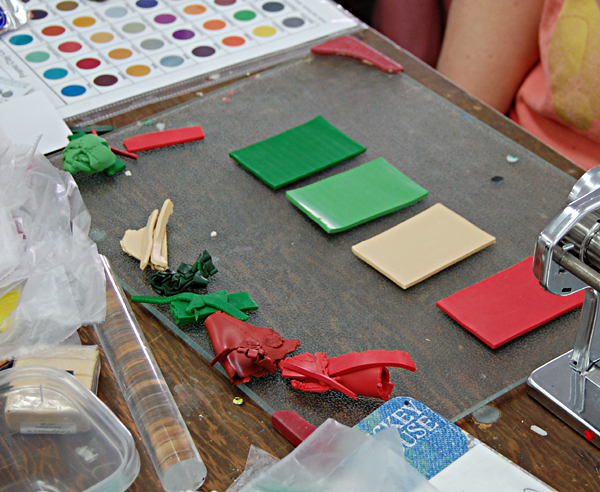 Besides learning a new approach to one of my favorite polymer clay techniques, this fun workshop also taught me to open up to new color inspiration and that you can find fabulous texture tools just about anywhere. 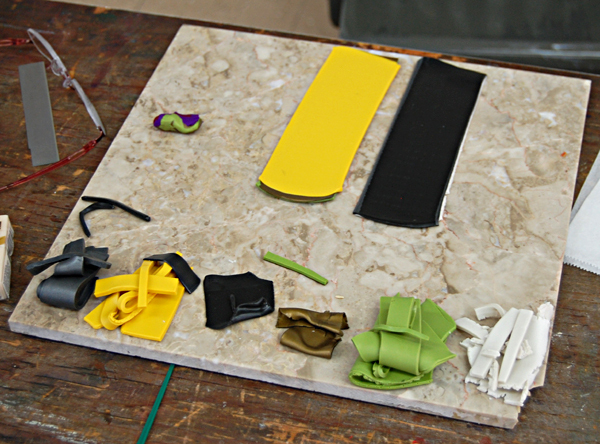 Soon I’ll share with you what I created at the workshop! This entry was posted in Beads, Color, Creativity, Inspiration, Jewelry, mixed media, Photography, Polymer Clay, Workshop and tagged metal leaf, mokume gane polymer clay, polymer clay beads, polymer clay pendants. No doubt, your creation is beautiful. I love Julie’s work also. 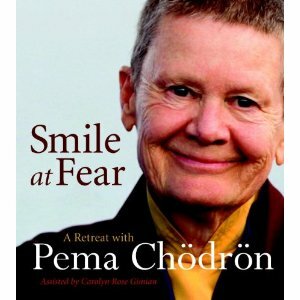 I would love to take a workshop with her. I’m jealous of you! Thanks for visiting! It was a wonderful experience and I’m sure you’ll get to do that, too, someday!